I am a breadstick gal. Put a breadbasket in front of me with all sorts of baked goodies and I will always go for the breadsticks. Don’t even try to grab the last one–I will fight you for it. I assume my stick lust comes from the same place as my cracker fetish. But that is for me to figure out in therapy. 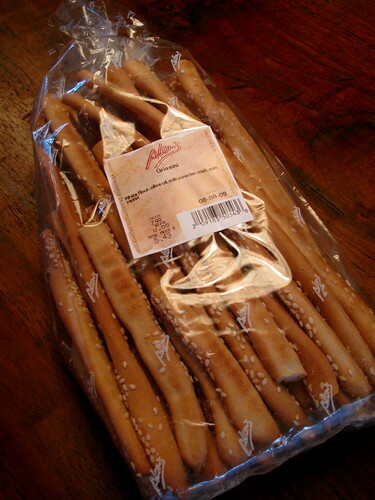 And by the way, Alon’s makes some sick breadsticks/grissini with either sesame seed or poppy seeds. We always have them around because they are so damn good and a great way to throw some “bread” on the table when you don’t have time to hit the bakery.